Happy first day of 2015! 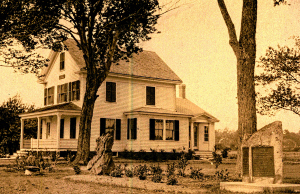 This year marks the 90th anniversary of the Hampton Historical Society and Tuck Museum, founded in 1925 by Reverend Ira S. Jones and others. To celebrate this milestone the Society has planned several events throughout the year. Also, this summer museum visitors can experience our Retrospective exhibit, a decade-by-decade visual exploration of the museum’s history set against a backdrop of important town, beach, and national events. And here at our blog we’ll be highlighting the history of the Society, the museum, and the staff of dedicated volunteers who keep it all running.